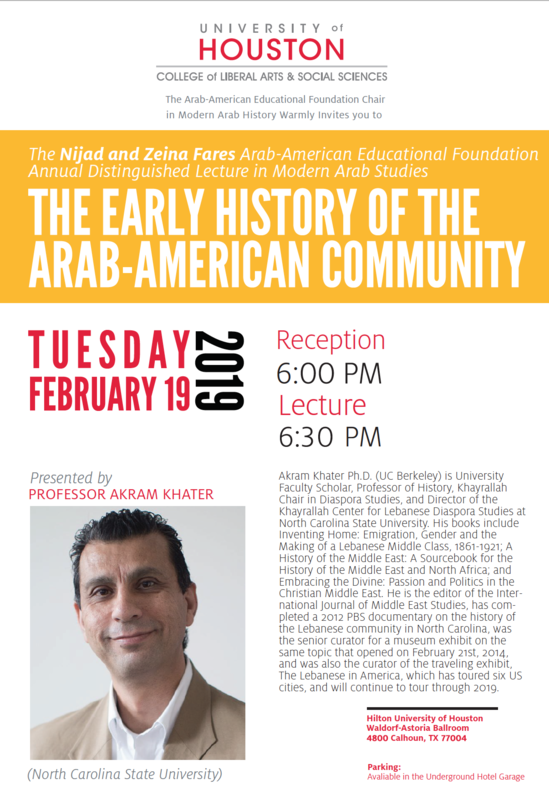 The Department of History invites you to attend the Nijad and Zeina Fares Arab-American Educational Foundation Annual Distinguished Lecture in Arab Studies, featuring Dr. Akram Khater, professor of history and the Khayrallah Chair in Diaspora Studies at North Carolina State University. He also serves as the Director of the Khayrallah Center for Lebanese Diaspora Studies. The lecture series will focus on the early history of the Arab-American community.